Keep your head up this January at Yonge-Dundas Square to see ‘Winter 4D’, a digital artwork presentation curated by Toronto Design Offsite Festival. 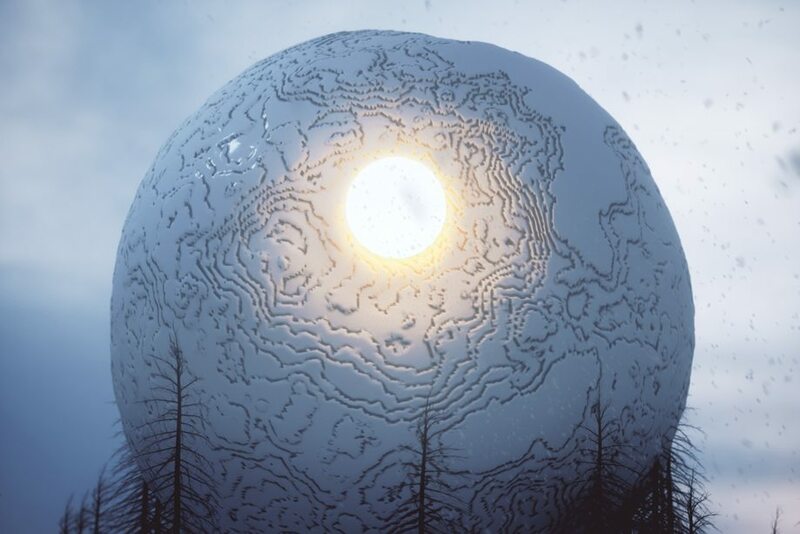 Appearing on the Cieslok Media billboard in the heart of downtown Toronto, ‘Winter 4D’ presents a digitally-rendered short film by Joe Pascale that explores the theme of winter landscapes. Entitled ‘White Out’, the film is sci-fi in nature, alluding to an alien entity which has nested upon a wintry hill. Its presence is both menacing and calming, as its warm core suggests reprieve from the cold, desolate forest. Pascale created the work in Cinema 4D, and rendered with Octane. ‘White Out’ will run for 15 seconds every 15 minutes throughout the duration of #TODO17 from Jan. 16 – 22, 2017.